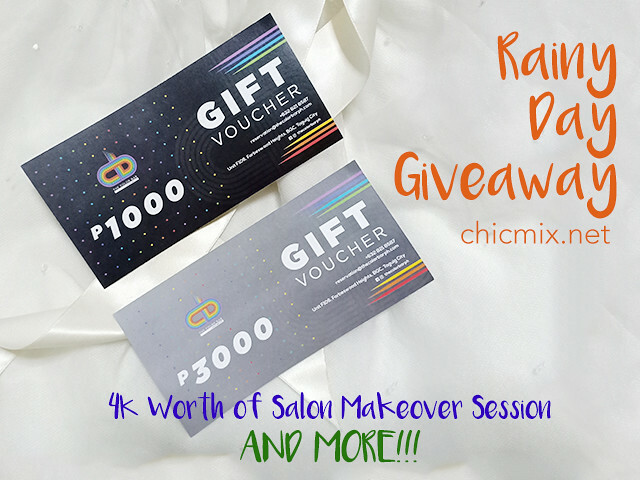 Rainy Day Makeover Giveaway | Salon Treatment at The Color Bar and MORE! Hey everyone! The past weeks have all been a bit gloomy cause of the weather we have right now... But I want to help turn that gray around and give some color to our lives! This is why I am having a Rainy Day Make over giveaway! For this one I am having 2 winners! First Prize is 4,000 Php worth of Gift Certificates from The Color Bar by @stylingbyJOF. This salon in Bonifacio Global City is eco-friendly and you can do netflix while having your hair colored or revitalised. You are sure to have your hair colored to your dream color cause JOF came from the states with years of training under his belt at Paul Mitchell The School in San Diego, CA. To know more about The Color Bar check out this link here. and tag 3 friends* who you think are also into hair makeovers! I will be very strict with these rules and I will make sure to check them before I announce them as the actual winner. Contest ends on September 30 11:59 pm, PH time. I'll be announcing the winner first week of October :D.
Thank you and had a wonderful day ahead! Zenfone 5Q | The Quad Cam Phone for Keeps!